An ancient network of trade routes between the East and the West, the Silk Road was long the territory of merchants with their camel caravans, swashbucklers and adventurers. Named for the vast bales of silk sent from China to Persia and Europe, along with products such as spices, tea and gunpowder, the routes also transported philosophies, ideas, technologies and sciences – a trading of ideas that shaped the modern world. 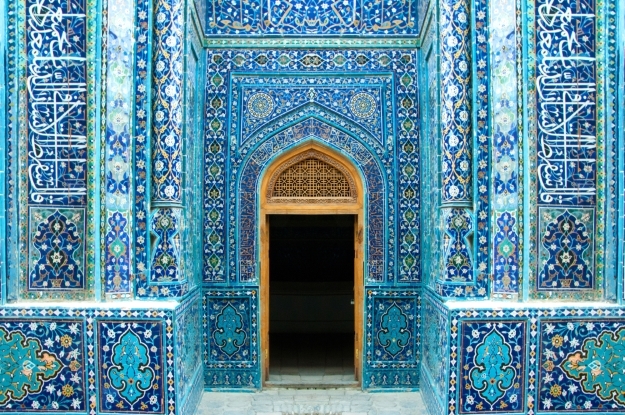 A treasure trove of Silk Road history, the holy city of Bukhara was founded around the first century AD and fast became a major trading post and a renowned centre of learning. Invaded, occupied and sacked many times over the millennia, the city today is an architectural tapestry of its history, with over 140 subtly-restored, protected monuments in its centre and a skyline of beautiful old madrassas and minarets, an old royal fort and an old market complex. 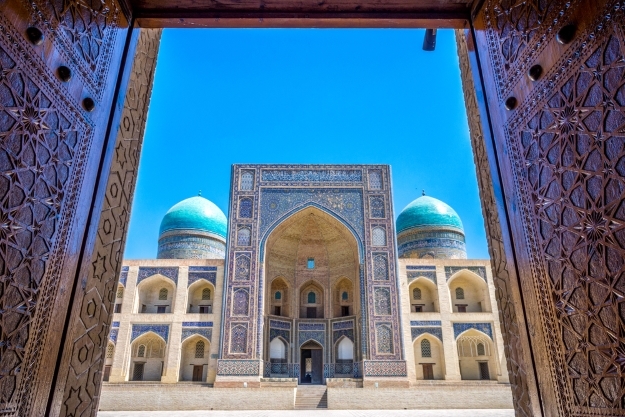 You can visit Bukhara and other Silk Road destinations on our Road to Samarkand tour. Located at the meeting point of two mountain ranges, Kashgar once commanded the caravan routes passing into and out of China from Central Asia and was an epicentre of trade for centuries. Whilst much of the Silk Road Kashgar is no longer there to be seen, it is very much present in spirit. The old town is still home to many craftsmen and tradesmen working with age-old techniques and there are still plenty of vibrant bazaars to discover and beautiful, old mosques to admire. 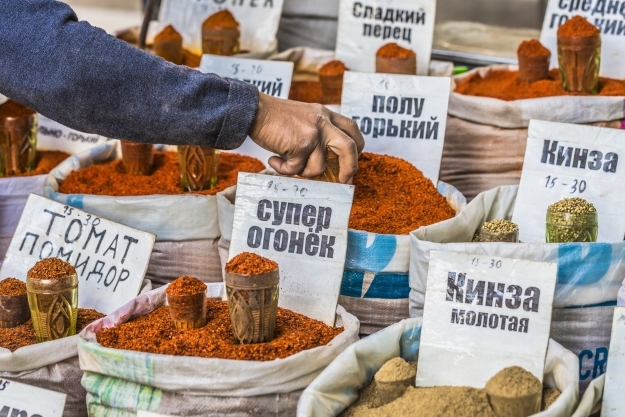 For a true taste of the Silk Road days, visit the Sunday livestock market! You can visit Kashgar and other Silk Road destinations on our Silk Road Explorer tour. A city with an epic 3,000-year history, legends tells that Osh was founded by Solomon, or possibly Alexander the Great. Either way, it’s long been a fundamental trading post for traders and merchants as a gateway to China, to Uzbekistan and to the Pamirs highway. Whilst there isn’t much architecture of note from its Silk Road days, Osh is a friendly and atmospheric city, and has a huge bazaar which has been sat in the same spot for thousands of years. Whilst here, pop out to the UNESCO-listed Mount Sulaiman, a scared place of pilgrimage. You can explore Kyrgyzstan and other Silk Road destinations on our Road to Samarkand tour. An oasis town on the edge of the vast Taklaman Desert, Dunhuang was a refugee for Silk Road caravans passing through the inhospitable terrain. Surrounded by lofty sand dunes and the perfect base from which to explore the wealth of old temples, forts and towers that dot the nearby landscapes. Although modern, Dunhuang has retained its ‘refuge’ atmosphere, with a slow pace of life and wide, peaceful streets. A must visit is the nearby Mogao Caves, also located on, and directly influenced by, the Silk Road, and the Crescent Moon Lake, nestled amongst the sand dunes. 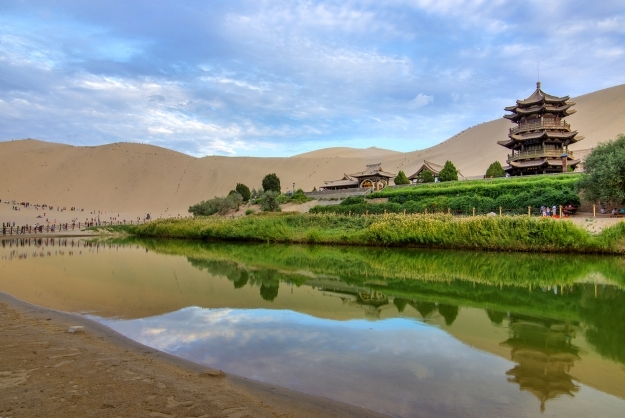 You can visit Dunhuang and other Silk Road destinations on our Silk Road Explorer tour. A by-word for the Silk Road and magnificently depicted by poets and historians for centuries, the ancient city of Samarkand was a major intersection in trade routes between Persia, China and India. 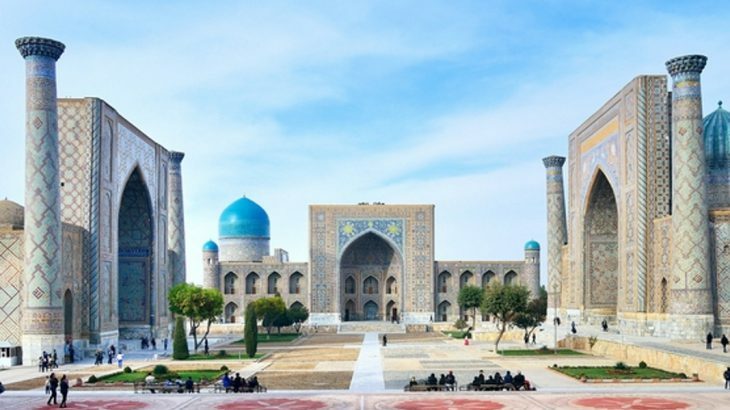 Add in a long, rich history intertwined with the stories of Alexander the Great, Genghis Khan and Tamerlane, it’s not really a surprise that it is the most famous of the Silk Road destinations. The streets of the old town are a blend of cultures, lined with sublime architecture and unique monuments such as the Mausoleum of Gur-Emir, Sherdor Madrasah and Bibi Khanum Mosque. 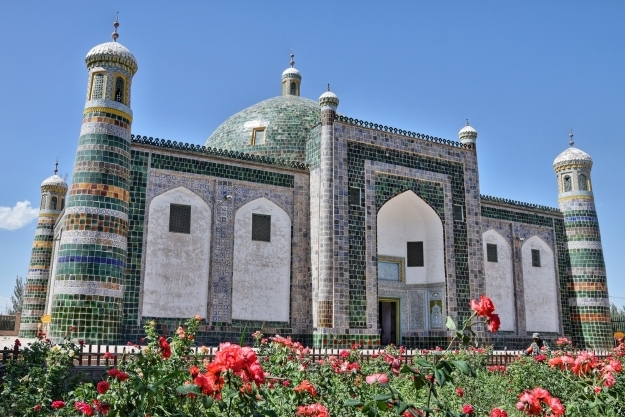 You can visit Samarkand and other Silk Road destinations on our Road to Samarkand tour. China adventure, history, sightseeing, silk road, unesco heritage site. permalink.